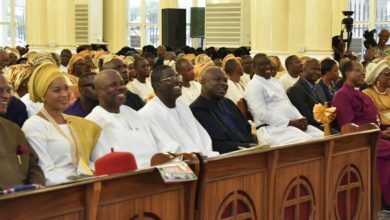 The auditorium of St. David’s Cathedral, Ijomu Akure, venue of the 80th Birthday Thanksgiving Service of Chief Samuel Oluyemi Falae was filled to capacity with array of politicians across the country. 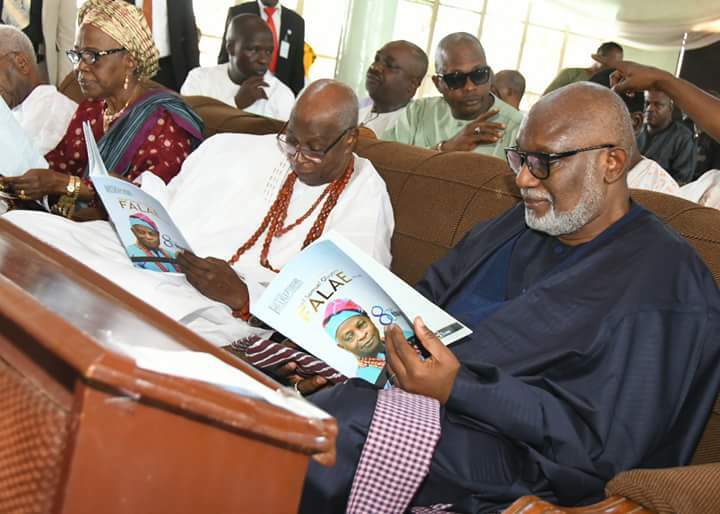 Ondo State Governor, Arakunrin Oluwarotimi Akeredolu, SAN; the immediate past governor of the state, Dr. Olusegun Mimiko; former Minister of Information, Prof. Jerry Gana and former Minister of Education, Prof. Tunde Adeniran were top on the list. 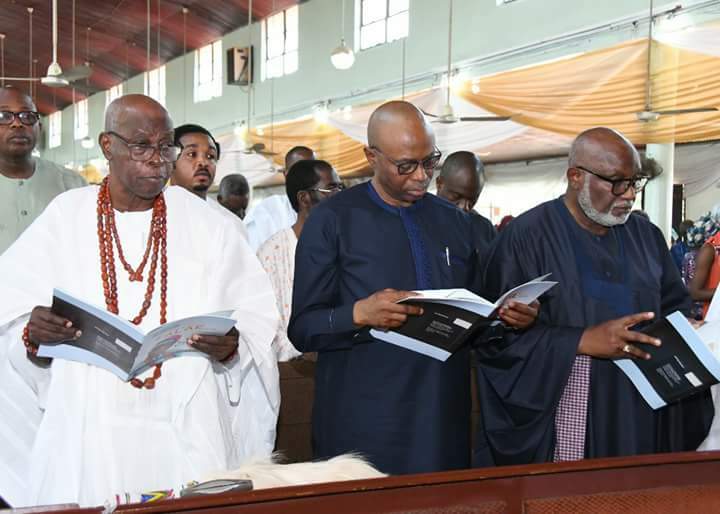 While Basorun Arogbofa, Chief Supo Shonibare, Dr Adegoke Adegoroye, Chief Femi Aluko and Mr Dayo Awude led a group of close associates of the octogenarian; the Deji of Akure Oba Ogunlade Aladelusi Aladetoyinbo and the Osemawe of Ondo, Oba Victor Kiladejo were top on the list of Royal Fathers at the Holy Communion Service to rejoice with Chief Falae. 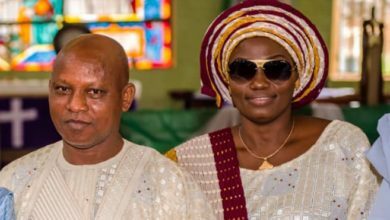 Expressing joy that, Chief Olu Falae attained the status of octogenarian in sound health, the Ondo State Governor described the celebrant as a rare gem who the state is proud to have produced. “He no doubt, bestrode the political landscape of this country like a colossus which climaxed with his being a Presidential Candidate of AD/APP in 1999. In his sermon, Rt. Rev’d. 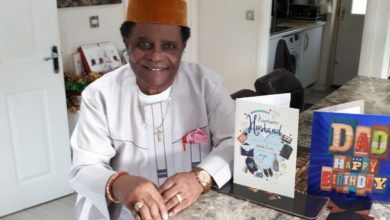 Dr Simeon Borokini congratulated the celebrant for receiving favor from God which culminated in his attainment of 80 years in the land of the living. He urged everyone to look back and praise the lord for the benefits so far enjoyed. Bishop Borokini said the benefit of life which was the most important, must be cherished rather than taken for granted. 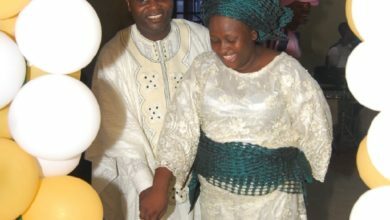 “God has blessed baba Falae, he has flourished and fruitful. Children of God will not labor in vain as they will eat the fruits of their labour,” he said. The Bishop further praised God for the benefits of mercy, which he said, endure forever and have kept everyone alive to see each day. 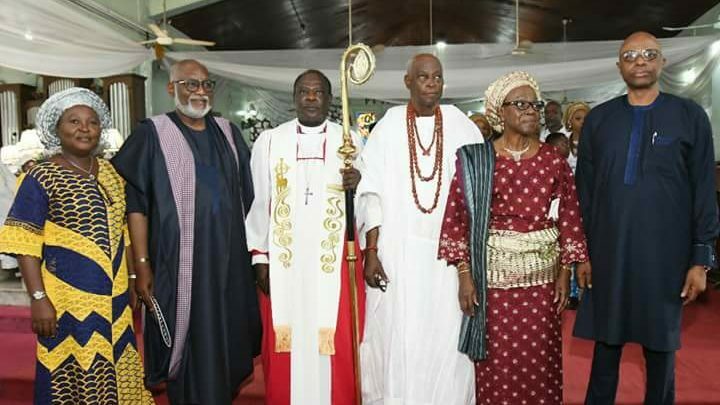 The clergy who is the Bishop of Akure Diocese, Anglican Communion, used the opportunity to admonish politicians to allow the fear of God dominate the policies they integrate into governance in Nigeria. “I appeal to our fathers and mother who are politicians, let us put tribalism aside and restructure our minds. Let us put competent people in positions of responsibility. Put sentiments and religion aside for Nigeria to be one nation,” he said. Bishop Borokini enjoined everyone to be closer to God through Jesus Christ, as no one could say when the last trumpet would sound for every individual to come up with their respective stewardship. Chief Olu Falae was a former Secretary to the Government of the Federation and Minister of Finance during the administration of President Ibrahim Babangida. He has been actively involved in party politics since 1999 when participatory democracy returned to Nigeria.